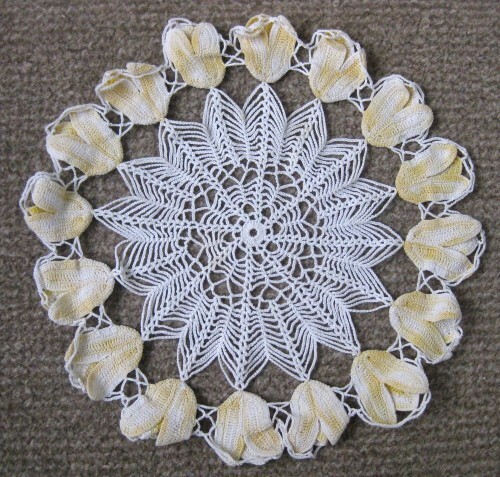 Doilie, doily, doyley, doiley, d’oyley or d’oilie? 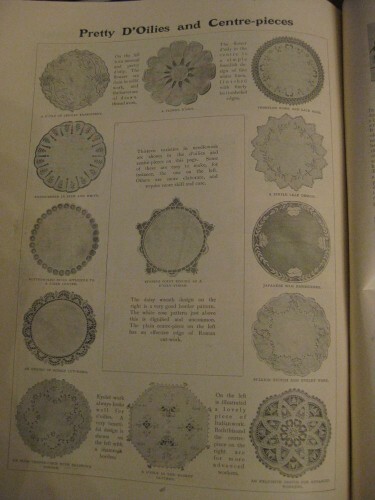 I came across a copy of the Girl’s Own Paper from 1912, and was very intrigued by the handwork section, and in particular, by the spellings in the handwork section. You see, the Girl’s Own Paper spells doily d’oilie. How peculiar! At first I thought it might just have been an old-fashioned term for doily, and I have never noticed it before. 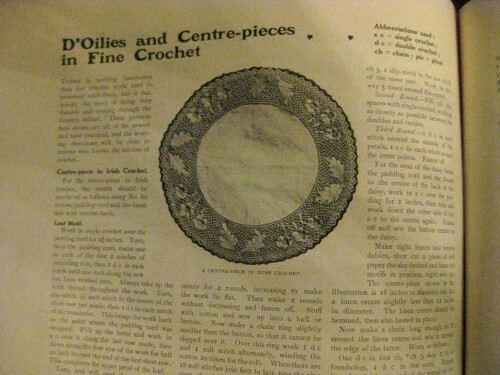 So I thought a bit more, and realised that I was sure I had read 19th century articles about doilies, and d’oyleys, but never d’oilies. So I did a bit of research, and guess what? I can’t find a single mention of d’oilies or by that spelling in anything but the Girl’s Own Paper. 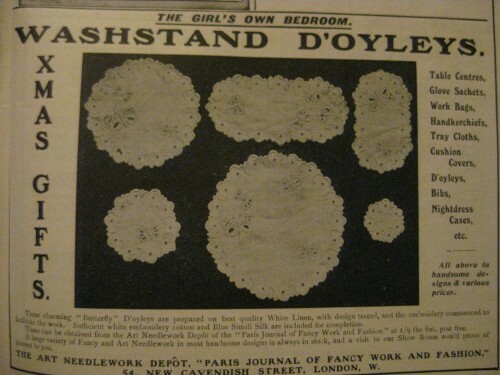 New Zealand newspapers from the turn of the century spell it doily, d’oyley, doyley, and doilie, with the first spelling being vastly more common, and the last only appearing for a brief period at the turn of the century. But why all the variants? The word doyley, now a familiar one with ladies, is derived from the name of Robery D’Oyley, one of the followers of William the Norman. 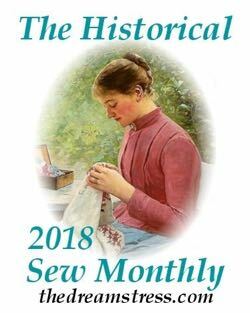 He received a grant of valuable lands on the condition of a yearly tender of tablecloths of the value of three shillings on the feast of St Michael. 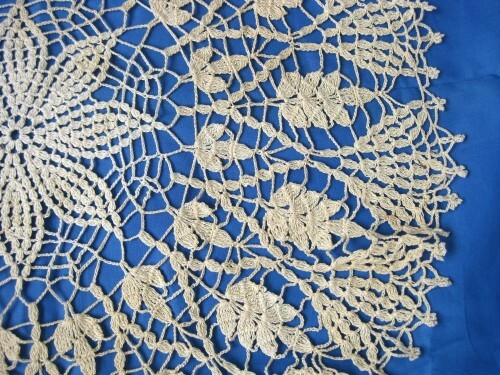 Agreeably to the fashions of the time the ladies of the D’Oyley household were accustom to embroidery and ornament the quit-rent tablecloths; hence these cloths becoming curiosities and accumulating in the course of years, were at length brought into use as napkins at the royal table and called doyleys. Hmmm.. So it seems that d’oyley became doyley, which picked up an ‘oi’ and was also rendered as doily, doiley, and doilie, and the last was returned to its origin with the addition of an ‘ , becoming d’oilie. Fascinating. So use whichever you want, as long as you can ignore the fact that most spellchecks only accepts doily! Wow – I wonder if there are any other possible spellings? There is a place called Ascott d’ Oyley, England, I wonder if that has anything to do with lace making or crochet or something. Intriguing though. That’s how they spell it in “South Riding”! 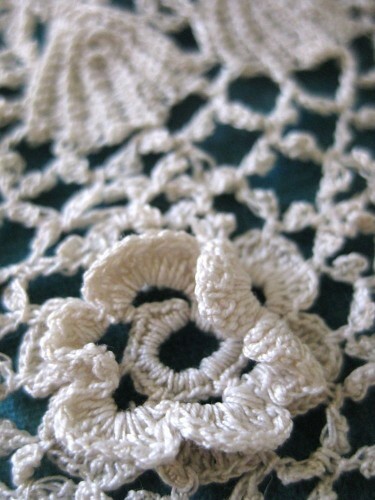 Thank you for this great post about the spelling of the word “doily”. 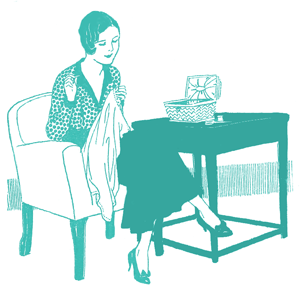 I was going through a pile of vintage/antique patterns yesterday and I cam across som with the “d’oyleys” spelling and I did wonder about it. My two cents here have nothing to do with textiles. I have a how-to cookbook published in England in the ’60s, and there are suggestions that certain (mostly fried) foods be presented on “paper d’oyleys”. At first I was confused, thinking only of grease absorption. But when I sounded out the word, I realized they were talking about decoration, not practicality. I don’t know whether that spelling still persists in the UK, but I agree with your assessment – that “doily” is a corruption of the original, based on the surname of those who developed them. Thanks for adding to my research here. 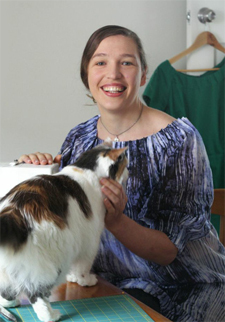 And great to discover your blog – I’ll continue to visit. 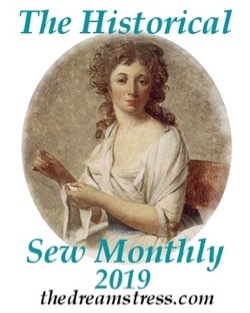 Just downloaded a copy of some volumes of Weldon’s Practical Needlework. He uses the term D’Oyley throughout both capitalized and lower case. lakeland.co.uklakeland.co.ukD’oyleys, as I have always spelt it, can be purchased as ‘sweet’ or ‘savoury’. The sweet variety have elaborate lace cut-outs throughout and the savoury come with a solid centre and an inch or so cut out around the edge. This makes them capable of absorbing some grease, though not terribly efficient. I have found it increasingly difficult to purchase d’oyleys recently; are they going out of fashion? Here in West Yorkshire, my local supermarkets no longer stock them but I have found a good source at Lakeland Limited, both shops and mail-order: http://www.lakeland.co.uk +44 (0)15394 88100. Being a creative craft person who creates colored doilies, I never knew there were so many spelling variations of this “decorative table mat’ which I spell as DOILY, unless my spelling or typing goes a bit haywire and then I throw in another “L”. All very interesting historical information. Thank you.